"Toni" has presented us with an outstanding litter born 3/24/17, 2 little black pups, a boy and a girl. 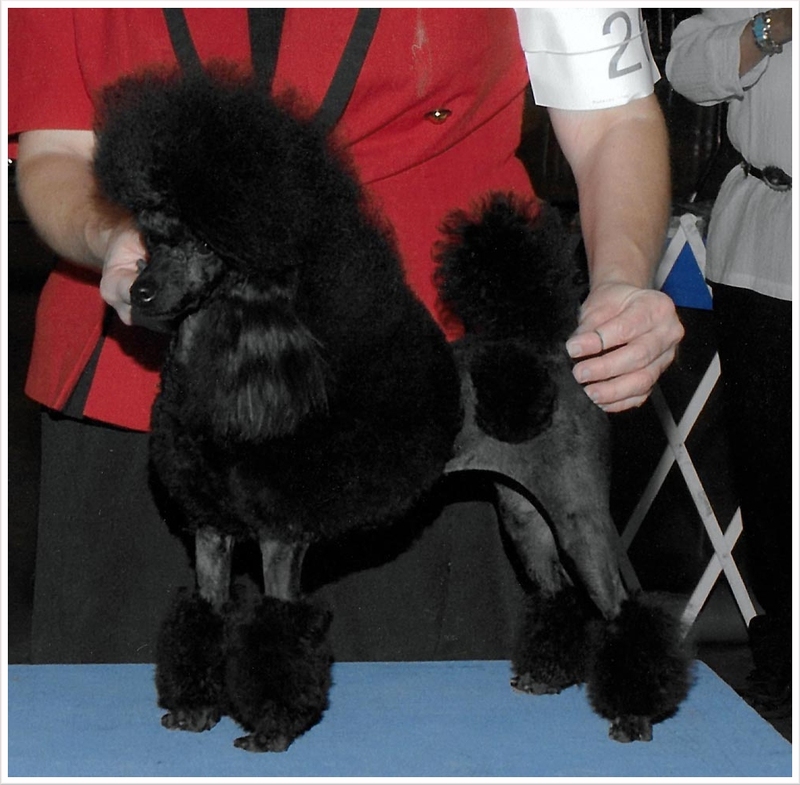 She is a stupendous mom, caring for her babies with the love and devotion we've come to expect from our Poodles. Toni has a wonderful temperament, friendly and outgoing she's the ultimate love bug, who loves nothing better than to snuggle. She is an awesome representative of the breed with gorgeous type, plush coat, a stunning head and exceptional movement. Don't let her small size fool you, she's got a very big personality! Toni is PRA clear, through DNA Optigen, eyes CERF and OFA patellas normal. A few notes regarding the below AKC generated 4 generation pedigree of Toni.